Asian Grocery Shopping? Don’t Miss Out on These! According to Andrew Coe, a historian, Americans first traveled to China in the year 1784, bringing back with them many cultural delicacies, which later mushroomed into prominence when the Bohemians of New York starting frequenting China Towns. In an interview, the writer of the book Chop Suey: A Cultural History of Chinese Food in the United States, the author narrates how it is also the presence of Chinese students in the United States that makes Chinese food such an elementary part of the new American culture. It’s a no brainer, then, that you love Asian food—after all, what’s not to love about the cuisine? 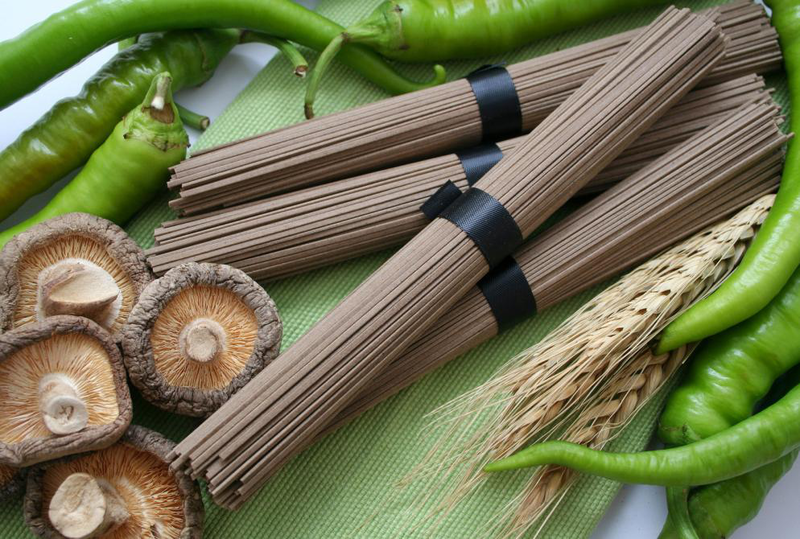 But do you know which ingredients you absolutely need if you’re going Asian grocery shopping? You probably have soy sauce, and maybe fish sauce, somewhere in your kitchen, but that’s not all you need! If you have no idea what to get, we’re here to tell you! The reason sesame oil made this list and soy sauce didn’t is because soy sauce is available in most stores over town. Sesame oil, however, is a special ingredient only available at Asian food stores, and it is from there that you must buy it since there’ll be no question of getting it wrong. We suggest Kadoya’s Pure Sesame Oil, a brand that is only available in Asian stores. The oil forms the base for a ton of Asian dishes, and is something you simply cannot do without. Remember that in the Asian cuisine, there’s a trinity that sits at the base of all dishes: soy sauce, sesame oil, and vinegar. Gochujang is something you’ve always wanted to be: hot. Red and viscous, the usual Westerner would regard this ingredient with fear and apprehension because it looks spicy to the third degree—and it is. A hot (duh!) red pepper paste, gochujang is an item you most definitely need in your kitchen if you’re one for quick fix Asian dinners. It goes in everything except for desserts: from soup to sauces, stews to major dishes. You can even use it as a dip—if you really like living dangerously. We suggest you keep a good stash of gochujang stored somewhere safe at your place. It’s so easy to throw a couple of nicely diced vegetables into a pot with generous chunks of meat or chicken and to let it stew for some time. For seasoning, most Asian food aficionados go with a packet of curry sauce or powder and devour the irresistible stew with steaming rice. It’s straight up comfort food for the soul. Of course the list is incomplete without noodles, and in this case soba noodles for the true Asian inspired dish. You can find a whole range of buckwheat noodles at an Asian store, and the best part about these noodles is that they’re absolutely gluten-free. Get them as thin or as thick as you like! Start browsing the amazing Asian food and grocery collection at Season Food Mart, an online store that delivers groceries to California residents. Find Chinese, Japanese, and Korean ingredients, snacks, and more. Contact us for more information today. There are four main things that comes to mind when one thinks of “Korea:” nukes, KPop, kimchi, Korean Barbecue, and of course, Oppa Gangnam Style. The health benefits of lentils include improved digestion, a healthy heart, diabetes control, cancermanagement, weight loss, prevention of anemia, and better electrolytic activity due to potassium. They are a good source of protein and are great for pregnant women. They aid in the prevention of atherosclerosis and in maintaining a healthy nervous system. Lentils are edible pulses or seeds that belong to the legume family. These mostly consist of two halves covered in a husk. Both the seeds are lens-shaped, which is probably why they are named Lens culinaris in Latin. They are also one of the oldest known sources of food, dating back more than 9,000 years. Lentils can be consumed with or without the husk. Prior to the invention of milling machines, they were eaten with the husk. The husk contains the highest amount of dietary fiber. After the milling process was invented, the husk or skin was removed and the dietary fiber in lentils disappeared. The popular kinds of lentils include black lentils, red lentils, brown lentils, mung bean, yellow split peas, yellow lentils, macachiados lentils, French green lentils, black-eyed pea, kidney beans, soya beans, and many more varieties. Each country has its own group, which is more or less similar and provides the same benefits. Lentils are consumed much more often in Asian countries, particularly India. India has the largest number of vegetarians and lentils can be a substitute for meat in supplying the required protein. One very good way to have lentils is after they have sprouted because they contain methionine and cysteine. These two amino acids are very significant in muscle-building and strengthening of our body. Methionine is an essential amino acid that is supplied through the food, and cysteine is a non-essential amino acid that can then be synthesized. Lentils contain the highest amount of protein originating from any plant. The amount of protein found in them is up to 35%, which is comparable to red meat, poultry, fish, and dairy products. As per the USDA, raw lentils contain carbohydrates (15-25 grams per 100 grams). They are a good source of dietary fiber and also have a low amount of calories. Other nutritious components found are molybdenum, folate, tryptophan, manganese, iron, phosphorus, copper, vitamin B1, and potassium. Lentils are also another source of phytochemicals and phenols. Both of these organic chemicals are known to provide health benefits, but the mechanism behind their work is yet to be determined. Often, lentils and meat are compared for their effectiveness and many people vote for meat as the best source of protein. It is true that lentils do not contain all the amino acids, but they do have less fat content when compared with meat. Our organs and muscles need a constant supply of protein for repair and growth of the body. Lentils, especially sprouted lentils, contain all the essential amino acids that are needed by our body for good muscle-building and smooth functioning of the body. A comparative study published in the The American Journal of Clinical Nutrition showed that in the various categories of foods, dietary fiber was found to be high in case of the legume family. Lentils, along with beans and peas, belong to the legume family. Dietary fiber filled food such as lentils help in controlling blood sugar levels. Dietary fiber also slows down the rate at which food is absorbed by the blood and thus maintains the sugar level constantly. As lentils contain high levels of dietary fiber, they improve digestion if consumed regularly. They also help in easy bowel movements, resulting in decreased constipation. Although lentils tend to cause bloating and gas, consuming soaked or sprouted lentils make it easy for you to digest them. Lentils, with their negligible amounts of fat, are an ideal source of protein without adding any extra fat to the body, thereby promoting a healthy heart. Lentils contain magnesium and potassium, both of which help in relaxing cardiovascular muscles and lowering the blood pressurelevels. Research led by Dr. Xu at the Department of Cereal and Foods Sciences in North Dakota, USA showed that the consumption of lentils provides a supply of antioxidants that decreased the chances of developing atherosclerosis. Also, these antioxidants play a role in neutralizing free radicals and thereby preventing cell and gene damage (aging). Lentils are a good source of vitamin B-complex, such as folate or folic acid. The consumption of folic acid by pregnant women helps in preventing birth defects. According to a study by Susan J Duthie, at the Rowett Research Institute in Aberdeen, UK, a lack of folic acid often results in neural tube defects. Folate, found in lentils, helps in the formation of red blood cells, is good for pregnant women, and plays a key role in maintaining homocysteine levels. It is also known to be effective against hypertension and DNA damage, which may result in cancer. Lentils contain a high amount of iron, which is needed by the body for optimum hemoglobin production. About 36% of the iron of the daily recommended value can come from eating 1 cup (200 grams) of lentils every day. Potassium, one of the minerals found in lentils, is regarded as a better substitute for electrolytic activity than sodium. Many diseases have been associated with a high sodium content and a low potassium content in the body. Apart from acting as an electrolyte, potassium is also helpful for the functioning of a number of organs like the heart, brain, and kidney. Risk of Kidney Stones: Research conducted by Massey et al. 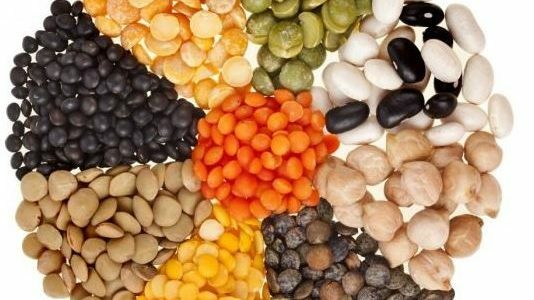 at the Washington State University’s Department of Food Science and Human Nutrition showed that some lentils such as soybeans, soy foods, peanut butter, and refried beans, contain high concentrations of oxalate compounds. These oxalate compounds were responsible for the formation of kidney stones. Therefore, individuals who have kidney stones should stay away from legumes and lentils.